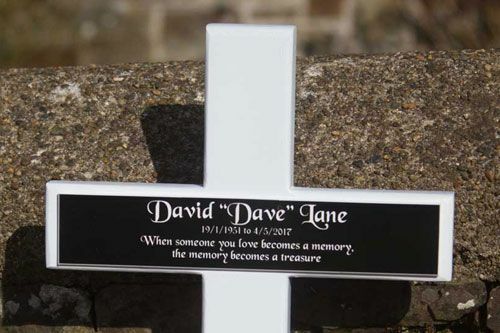 White Wooden Memorial Crosses - Hand made in Oak or Accoya, with engraved black acrylic plaque. 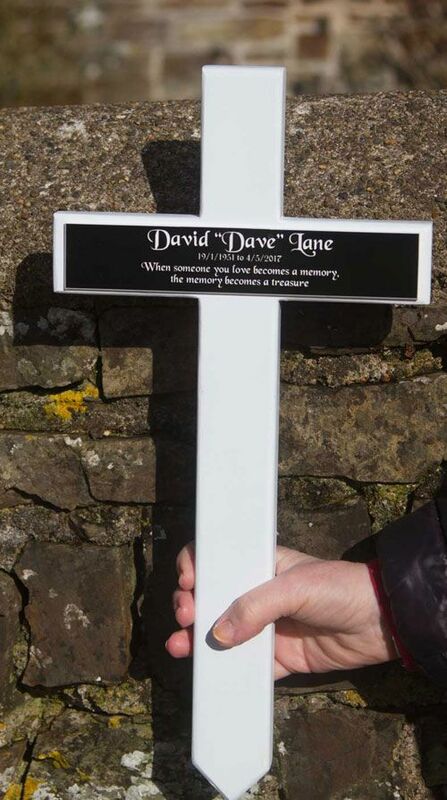 These wooden memorial crosses are normally supplied as a stake but can be made with the bottom square edge to be fixed to a wall. The crosses can be made from oak or accoya and are painted white and have a black acrylic laminate plaque attached to them. Solid Wooden Memorial Crosses - Hand made in Oak or Sapele, with engraved black aluminium plaque.